Lots of data are routinely collected on farms. However, often these data are not linked to other isolated applications. The result: There is no holistic view of the business. 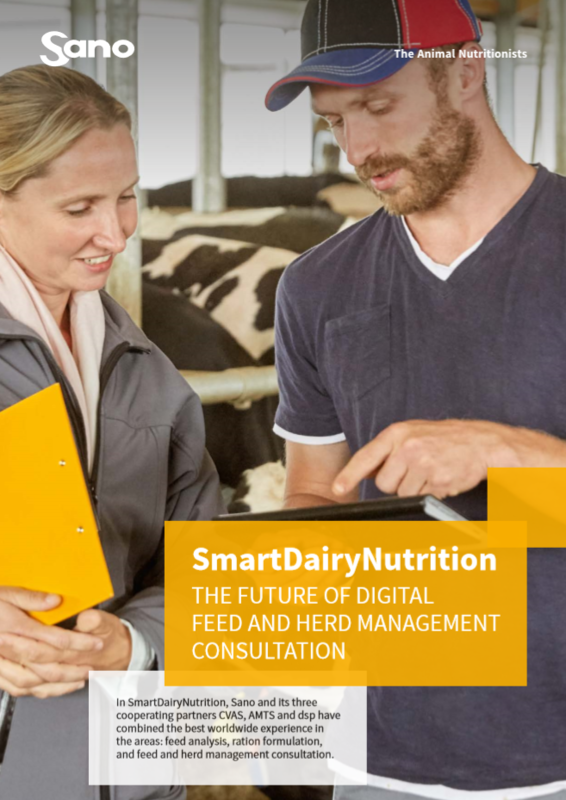 SmartDairyNutrition is the very first solution that allows to create a comprehensive network of all the previously isolated data (animal and environmental) and systems on the farms. Thus, farmers are able to perform a full business evaluation in just a few clicks. Efficient feed and herd management measures can be directly implemented, in which animal health, environmental protection and performance are always the focal points. Today it is more important than ever to know, measure and assess the parameters animal health, well-being and performance for each individual animal, and to use them to decide on the correct management measures. All the data collected on the farm help here. 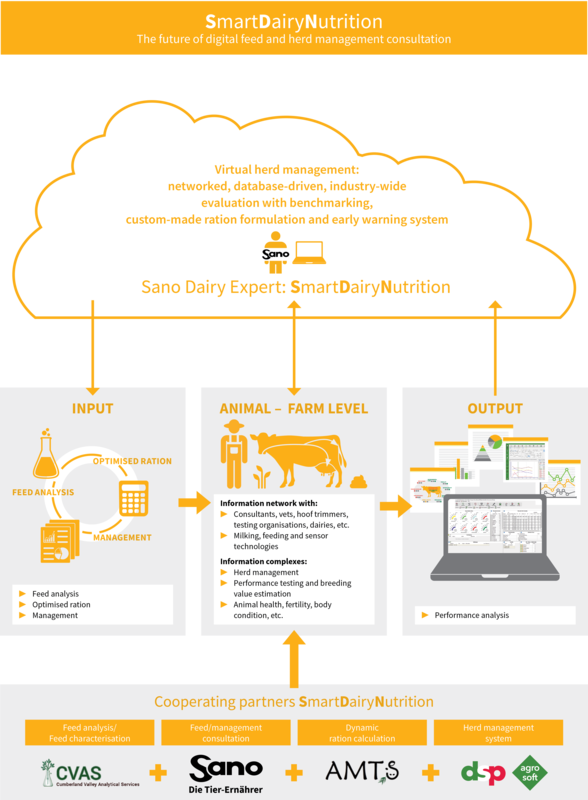 SmartDairyNutrition bundles the data and presents it in a form that you can measure and assess. Comprehensive management measures can be derived in an easy and targeted manner. 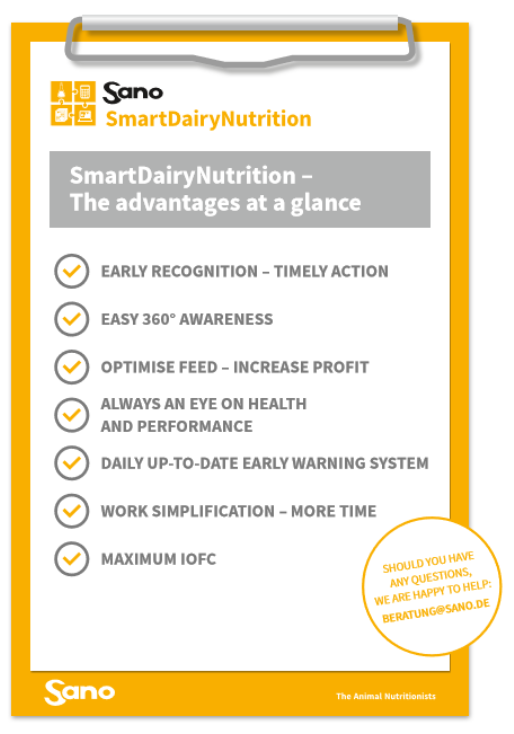 Successful and also time-saving herd and feed management is so easy to achieve. Furthermore, with the comprehensive pool of knowledge and experience of the four partners AMTS, CVAS, dsp and Sano, you always have access to the latest findings, with which you can further expand your business success.